Pineau d'Aunis is a grape whose many names can give the illusion of familiarity. Its most common name, Pineau d'Aunis, puts one in mind of the Pinot family of grapes, which it is related to only linguistically, as there is no genetic relationship between the Pinot family and Pineau d'Aunis that I am aware of. Both Pinot and Pineau come from the French word for "pine" because the bunches of grapes supposedly looked like pine cones to those who were naming them (think of Pignolo or Pignoletto in Italy). The d'Aunis part of the grape's name comes from the Prieure d'Aunis, a monastery located near the Saumur region of the Loire Valley. It is thought that the grape was first "discovered," or, more accurately, selected for by the monks there. Many local growers throughout the Loire Valley also refer to the grape as Chenin Noir, suggesting some kind of relationship to the Chenin Blanc grape that has made so many areas of the Loire Valley famous. Confusingly enough, one of the alternate names for Chenin Blanc is Pineau de la Loire, which certainly might make one wonder about the relationship between the two grapes. 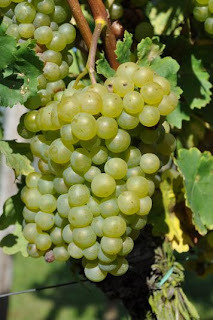 Wikipedia has it that Chenin Blanc is a mutation of Pineau d'Aunis, but if you follow the source cited for that bit of information, you can see that there is no such claim made in the original material and, further, that the source material makes no reference to the Pineau d'Aunis grape at all. The common consensus seems to be that Chenin Blanc and Pineau d'Aunis are, in fact, completely unrelated, and the Chenin name common to the two of them comes from a site known as Mont Chenin in the Loire Valley where the Chenin Blanc grape was planted by the Lord of Chenonceaux in the 15th Century. The Chenin name most likely got moved over to the Pineau d'Aunis grape at a time when its plantings were as significant as those of Chenin Blanc in some areas of the Loire Valley and many farmers began to refer to the grapes as Chenin Blanc and Chenin Noir for convenience's sake. DNA analysis would clear the whole matter up, but it would seem that no one has bothered to give it a try. Which is too bad, really, because the grape is old enough and has been in the region for long enough that there may be some interesting discoveries to be had. It's said that Henry III of England was a fan of the wine and had it imported in from France in the mid 13th Century. Apparently the English ruled over Anjou, located in the Loire Valley, for a few decades before Henry III came into power and Henry tried, in vain, to bring the region back under English rule throughout his reign. I doubt that Pineau d'Aunis wine had too much to do with Henry's motivations, given the extraordinarily complex web of political intrigue throughout Western Europe at the time, but it certainly could have played some role. Wars have been waged for far less important reasons than a barrel or two of wine. Today, it would be a wild exaggeration to call Pineau d'Aunis a "wine for Kings." 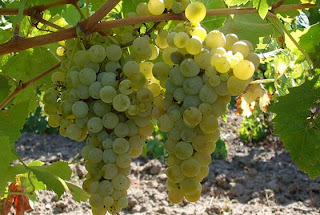 I'm not entirely sure what the reason for the grape's ultimate decline was, but my guess is that the white wines of the Loire Valley began to gain in popularity and profitability at some point and many growers pulled up their red grapes in favor of the twin darlings of the Loire Valley, Sauvignon Blanc and Chenin Blanc. As of the year 2000, there were fewer than 1000 acres (about 430 hectares) planted to Pineau d'Aunis, most of which ends up as an anonymous minority component in some Loire Valley red or rosé wine. You're most likely to find it as a varietal wine in the Coteaux du Vendômois, which is around the center of the Loire Valley (from east to west), just north of Vouvray. Most wine made under this appellation is rosé, and I was able to find two examples in this particular style. There are also a handful of producers who make red wines that are all or nearly all from the Pineau d'Aunis grape, and I was able to try one of those bottlings as well. Finally, there are some people who are just doing crazy things with the grape, and from one of those producers I was able to find a fully sparkling white wine made from Pineau d'Aunis grapes. The first bottle that I was able to find was the Domaine Brazilier Pineau d'Aunis rosé from the Coteaux du Vendômois AOC which I picked up for about $17. If my bottle had a vintage, I wasn't able to locate it. In the glass, the wine was a very pale salmon pink color. The nose was moderately aromatic with aromas of fresh cut watermelon and strawberry fruit. On the palate, the wine was on the lighter side of medium with medium acidity. There were light, delicate flavors of strawberry, raspberry and watermelon fruit with a touch of herbaceousness to it. Given the price tag on this wine, I was a little disappointed in how straightforward and simple the aroma and flavor profiles were. I don't generally buy rosé wines with the expectation that they are going to be much more than fruity and refreshing, but once I pass a certain price threshold, I do begin to expect a little more out of a wine. At nearly $20 per bottle, I feel that this probably should have been more complex and interesting than it was. It's entirely possible that this wine was past its prime, but without a vintage date, it's hard to say. Since there are other examples of this grape in this style for much less money, I'd advise caution with this particular bottling at this price point. The second rosé that I was able to try was the Cave Cooperative du Vendômois bottling from the Coteaux du Vendômois AOC which I picked up for about $10. As you can see on the label, the wine is labeled as "Lieu-dit Cocagne," which I believe means that the grapes came from a specific parcel of land referred to as Cocagne, though I don't have any idea what or where that is. The wine is made by a cooperative comprised of 25 growers and about a dozen different winemakers who, together, farm about 160 hectares of land, about 50 of which are devoted to the Pineau d'Aunis grape. In the glass, the wine was a pale pink color. The nose was very aromatic, dominated by pink grapefruit and fresh strawberry fruits. On the palate, the wine was medium bodied with high acidity. There were flavors of watermelon, pink grapefruit and grapefruit peel with a touch of grassy herbaceousness that put me in mind of Sauvignon Blanc. The wine had the kind of wonderfully clean, minerally finish to it that makes you keep reaching for the glass.. This wine was beautifully perfumed with deep, pure fruit flavors and an electric nerve of acid that kept it bright and refreshing. THIS is the kind of rosé that I love to drink and at only $10 a bottle, it's really an incredible value. The next wine that I tried was the 2010 Olivier Lemasson "Poivre et Sel" bottling from Touraine in the Loire Valley. I picked this bottle up from my friends at the Wine Bottega for about $20. I've read online that this wine is 50/50 Pineau d'Aunis and Gamay, but the bottle says"Pineau d'Aunis...un peu de Gamay," which my high school French tells me means there's just a little bit of Gamay in it (the importer website says it is 90/10, which is probably the more accurate figure). The Poivre and Sel ("pepper and salt") is a reference to the fact that many people find a peppery aroma and flavor in the Pineau d'Aunis grape which the winemaker believes is perfectly complemented by a little Gamay as the salt to Pineau's pepper. In the glass, this wine was a fairly light purple-ruby color. The nose was moderately aromatic with plummy, cherryish fruits and a bit of that natural wine funk. On the palate the wine was medium bodied with fairly high acidity and medium tannins. There were flavors of juicy, tart red cherry and red berry fruit and, yes, a hint of pepper. There was also a touch of tart cranberry and horsey funk on the finish. This wine had a nice balance of bright and juicy fruit with just enough earthy funk to keep it interesting. I found it somewhat similar to the Grolleau that I wrote about a few months back. Is it worth $20 a bottle? If you're looking for an upscale alternative to Beaujolais or are looking for a conversation piece to have at a dinner with friends, then yes, I think the price is fair. I've saved the most interesting bottle for last. The final Pineau d'Aunis that I tried was the NV Jean-Pierre Robinot "Les Annes Folle" sparkling Pineau d'Aunis that I picked up from the Wine Bottega for about $30. Robinot has two lines of wine that he makes: the "Domaine de L'Ange Vin," which are made from his own grapes, and the "L'Opéra des Vins" which are made from grapes he buys from other local growers. This bottle is in the latter category. The wine about 80% Pineau d'Aunis and 20% Chenin Blanc. In the glass, the wine was a bronze-gold, almost russet kind of color that was very fizzy and slightly cloudy (the method used here is méthode ancestrale, like in our old friend Mauzac). The nose was fairly reserved with some green and baked apple aromas with a bready, yeasty kind of undercurrent. On the palate, the wine was medium bodied with high acid and a lot of bubbles. I was expecting this to be closer to frizzante, but the bubbles were pretty serious and vigorous. The flavor profile was yeasty and bready with some tart apple fruit that was almost a little cidery and just a touch of pastry dough. The secondary flavors and aromas were much more noticeable than the fruits here, so if you're looking for something like Prosecco or Moscato d'Asti, keep looking. I'm conflicted about this wine because on the one hand, it's a really cool and interesting wine, but on the other, it's hard to say if it's tasty enough to really warrant the $30 price tag. I personally enjoyed it, but it's not going to be for everyone. I would guess if you've read this far, you probably already know whether this is something you'd be really into or really afraid of, so I guess you should just follow your gut. If Nerello Mascalese was a person, it would have a serious little-brother complex. It's never been considered the greatest grape in Sicily and has been greatly overshadowed for many many years by the Nero d'Avola grape. Nero d'Avola was itself little known outside of Sicily until not that long ago, but now it is hands down the most well-known and well-regarded Sicilian grape, especially among the red varieties. It's difficult to talk about Nerello's recent presence in our lives and on our shelves without talking a little about the Nero d'Avola effect. For a long, long time, Sicily was not regarded as a place for fine wine production by most of the world. They grow a ton of grapes all over Sicily, but the overwhelming majority of the juice from those grapes ends up in bulk wine production or at the distillery. Of course there were people on the island who were interested in making fine wines and who, for the most part, were succeeding in that task, but they were small voices in a loud crowd, so to speak, and the reputation of Siclian wines overall was still not that great in spite of their successes. They could have tried to do what a number of different regions have done and decide to try their hand with the International grape varieties, which do grow well and flourish in the Sicilian climate, but if they had gone that route and tried to compete with the great wine regions of the world, I suspect they probably wouldn't have succeeded. Cabernet from a region known for cheap wines is still just cheap Cabernet and that identification with mass-produced, cheap wines is a difficult barrier to pass. What they really needed was something that would separate and differentiate them from the other wine regions of the world. They found that something in the Nero d'Avola grape. The story is similar to the phenomenon of Australian Shiraz or Argentine Malbec. The Aussies didn't have an original product, but they had a different name for it that made it stand out from the other bottles on the shelf. Argentina wasn't the only place making wines from the Malbec grape, but they were the only ones doing it in quantities that would make the wines easily accessible to nearly every consumer. The trick was finding a little niche in the market that wasn't adequately filled by some other region and making the case that what you were filling that niche with was not only exciting and interesting, but was really only available from you, which is of course not true with Syrah or Malbec, but the marketing machines convinced a lot of people that it was. The great thing about Nero d'Avola for the Sicilians was that they didn't even really have to spin it. Nero d'Avola is only grown in Sicily and is only available from Sicilian winemakers. They had a real, original wine to offer. These wines were new and interesting, but they were also well made and tasty. Consumers flocked to these wines because they were something different, but they stuck around because the wines were actually pretty good. Even though the overwhelming majority of wine made in Sicily is still bulk (only 5% ultimately ends up in bottle and only 2% of that is DOC classified), those winemakers who were interested in reaching a different demographic had finally found their in-road with the Nero d'Avola grapes. Consumers were now willing to buy and drink not only wines made from Nero d'Avola, but also wines from Sicily in general. The tide rose and raised a lot of ships, which, finally, brings us to our featured grape, Nerello Mascalese. Nerello and many of the other interesting Sicilian grapes are traveling the path blazed by the success of the Nero d'Avola grape. There are actually two different Nerellos. Mascalese is the more common of the two and is named for the plain of Mascali at the base of Mt. Etna, the Sicilian volcano that has really been the epicenter for quality wine production within Sicily. The other Nerello is called Cappuccio, though I'm not sure why. The two are almost always blended together since they tend to have complimentary characteristics. One is lighter in color but higher in tannins while the other has deep color but low tannins. I'm not sure which contributes which, and there is no real consensus about which of the two grapes is considered superior. The important thing to remember is that they usually travel together and when they do, you're much more likely to see a higher proportion of Mascalese in the blend than Cappuccio. The grape has been grown around Mt. Etna for at least 200 years. It does well on the volcanic soils and can be especially nice when grown on higher altitude sites on the volcano. Despite the fairly long established history and the lack of similar grapes in any other region, Nerello is probably not native to Sicily. A study done in 2008 (source) found that Nerello Mascalese is almost certainly the offspring of the Sangiovese grape and some other unidentified parent, meaning that it probably came over from the Italian mainland at some point. This puts Nerello in some interesting company, as the same study also found that Frappato and Gaglioppo, among others, had the same kind of relationship to Sangiovese, meaning that all of those grapes are at least half brothers with one another. I was able to find a handful of different bottles of Nerello representing several different styles and philosophies. The first wine that I tried was a NV Casa Fondata Valdo that I picked up at Bauer Wine and Spirits for about $13. This is actually made in the Prosecco region of Italy from Prosecco grapes (also known as Glera) and Nerello grapes or juice that they bring up from Sicily. There's minimal skin contact with the Nerello grapes, so there's very little color, and the wine made in the Charmat method, as is most Prosecco, so it's much fruitier than your typical Champagne method sparkler. In the glass the wine was a pale salmon pink color that was nice and fizzy. The nose was fairly aromatic with bright, fruity strawberry and green apple aromas. On the palate, the wine was on the lighter side of medium with medium acidity and nice bubbles. There were flavors of strawberry and raspberry candy with snappy green apple backing it up. This is all fruit and is as simple as it can be, but it's nice and tasty and is something that's definitely a little bit different. I'm sure Prosecco has some great food matches, but I always just like to drink it on its own and have a little fun with it. For $13, it's really hard to go wrong. The next wine that I picked up was the 2008 Nicosia Nerello Mascalese that I grabbed from my friends at Bin Ends for about $10. It's more representative of the kind of everyday table wine you may find at your local wine shop. In the glass, the wine was a fairly light ruby color. The nose was nicely aromatic with red cherry and smoke aromas along with some stewed red berries. On the palate, the wine was medium bodied with fairly high acid and low tannins. There were flavors of sour cherry and redcurrant fruit along with some dried herbs and chocolate on the finish. As the wine opens up, the fruit flavors move away from the red end of the spectrum towards the black with more black cherry, black plum, smoke, chocolate and baking spice showing up. It's a good, solid, Italian food wine that would be great with anything with a tomato sauce or with some braised red meats. At $10 a bottle, it's a good, solid value wine that isn't going to blow you away, but is going to be well-made, well-structured and well-suited to a variety of different kinds of food. The final wine that I'll be talking about is probably the most interesting and the most divisive. A few weeks ago, my friends over at the Wine Bottega put on a tasting of the wines from Frank Cornelissan, the Madman of Etna. The Cornelissan estate is really serious about the concept minimal intervention in the vineyard and in the winery and they take it about as far as it can go. The wines made by Frank Cornelissan come as close as wine can come to that line that separates wine as a beverage from vinegar as a condiment. They go into their philosophy in some detail on the website linked above and I encourage you to read what they have to say. The estate makes three different red wines ranging in price from about $27 to about $150. Each wine at each price point is made from grapes harvested at a certain altitude on the slopes of Mt. Etna with the most expensive wines made from grapes grown at the highest elevations. The guys at the Bottega were nice enough to let us sample all of the different cuvees and even opened a few bottles from previous vintages that they had been squirelling away. I ended up buying a bottle of the Contadino 8, which is the bottom of the line cuvee, for about $27. There is no vintage on the wine and the number is an indication of how many times he's made that particular cuvee before. This is the 8th incarnation of the Contadino blend, which is mostly Nerello Mascalese, but it would be something of a fool's errand to try and figure out exactly which grapes are in this bottle. The wine is unsulfured and unfiltered so I had to store it in the fridge upright until I was ready to drink it, at which point I took it out and let it come to room temperature over 24 hours. I then very carefully decanted the wine twice to leave as much sediment behind as possible (when I did get some sediment, it was fairly bitter, so avoid it if you can). In the glass, the wine is a light ruby red color that is more serious than a rosé but less dark than you'd expect from a red wine. The nose was nicely aromatic with bright red cherry and candied cherry fruits and damp, forest floor kind of aroma. In the glass, the wine was on the fuller side of medium with fairly high acidity. There were flavors of red cherry, wild raspberry, wild strawberry, black tea and damp leaves. The wine develops with incredible speed as it sits in the decanter in the glass and the bright red flavors get darker and duskier. It reminded me a lot of some of the Trousseau from the Jura that I had or even of really funky Burgundy. It's a wild, savage wine that is really unlike anything I've ever had before. It's hard to recommend it unequivocally to people, as it is certainly not going to be everyone's kind of thing, but if you're looking for a weird, wild, different kind of wine adventure, give something in the Cornelissan line a shot. In many ways, the story of the Schioppettino grape is the story of a lot of the grapes that I've written about on this site. It's a grape that enjoyed a degree of popularity at some point in the distant past, and then, for one reason or another, was on the brink of extinction. It has enjoyed some limited success and a few new plantings in more recent years, but, on the whole, it's still little known outside of a handful of regions. While the outline of the story may seem familiar to longtime readers, it's always the details that make an individual story worth telling. After all, if we rejected out of hand all stories with similar structures and outlines, then writers would have had to give up their craft thousands of years ago and the modern entertainment industry would have had to fold up shop before it even got off the ground (though whether this would have been such a bad thing is something you can ponder at your leisure). So what are the details of Schioppettino? For starters, it's a very old grape. There are written records that reference the grape as far back as 1282 AD when the wine was used in a Slovenian wedding ceremony. 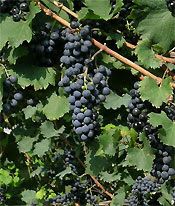 It's thought that the grape may be native to Slovenia, or at any rate to some area around the Italian-Slovenian border. 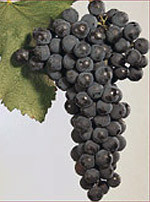 One of its synonyms is Ribolla Nera, indicating that it may be a dark-skinned mutation of or at least a relative of the Friulian/Slovenian grape Ribolla Gialla, though I can't find any indication of just what the specific relationship between the two grapes may be. I would hazard a guess that since Schioppettino is the more common name, the relationship between it and Ribolla Gialla may be merely linguistic, but I would love to read about it if anyone has done the genetic research. There are a few different explanations for the use of the Schioppettino name. Some say that it comes from the Italian word scioppare, which means "to burst," while others say it comes from schioppettare which means "to crackle." In either case, the bursts or crackles are a reference to a version of the wine that is made locally and sold very young with some residual CO2 in it, leaving small, snappy bubbles behind that crackle on the tongue. As mentioned above, Schioppettino was, at one time, in danger of disappearing completely. Like so many grapes throughout the world, Schioppettino was almost done in by the scourge of phylloxera that swept through Europe's vineyards in the mid 19th Century. Many grape growers who found their vineyards decimated saw the plague as an opportunity to start fresh, and when it came time to replant, they often opted for less finicky and higher yielding vines, but in the case of Schioppettino, fashion was the force that nearly drove it into extinction. Many of the growers in Friuli had their sights set on international markets rather than just local ones and so they replanted many of their vineyards to the classic French varieties of Cabernet Sauvignon, Merlot, and Sauvignon Blanc, among others. Plantings of the grape were so scarce after phylloxera that it was not included as an authorized variety in any of the DOC or EU regions until 1978, when the EU stepped in and issued a decree authorizing (or possibly just encouraging) the use of the grape in the Udine province of Friuli, which most sources credit as the act that saved the grape from oblivion. Plantings have risen over the past few decades to the point that the grape is no longer thought to be at risk for extinction, but certainly not to the point where it is widely available or well-known. I was able to find a bottle of the 2008 Azienda Agricola Grillo (not to be confused with the Grillo grape) Schioppettino from the Colli Orientali del Friuli region of Italy at Central Bottle for about $23. In the glass the wine was a fairly deep purple-ruby color. The nose was nicely aromatic with rich black cherry and blackberry fruit backed by chocolate. It wasn't all that complex, but it was pure delight to smell. In the glass the wine was on the fuller side of medium with medium acidity and soft, silky tannins. There were flavors of rich black cherry, blackberry and blueberry fruit with nice earthy chocolate and vanilla undertones. The fruit here was pure, focused and right up front in the flavor profile but backed by excellent structure and a soft, smooth kind of earthiness. The flavor profile wasn't particularly varied or complex but the flavors were deep and powerful without coming across as jammy or sweet. For $23, I thought this wine was an excellent value and I wouldn't hesitate to buy not only this bottle again, but I also wouldn't hesitate to buy any wine made from this grape. I am very curious about the frizzante wines made from this grape and see that there are some bubbly Schioppettinos imported into the US so I'll definitely be keeping my eye out for any of those. I live for wines like the one I'll be writing about today. It's a wine made from a very unusual grape that is grown in a very small region of Italy and, essentially, vinified by pretty much only a single producer. We've taken a look at a few wines like this in the past. The Roscetto from Lazio and the Casetta from the Veneto are both similar in terms of their obscurity. While I love to find wines like these, it can be a real pain to try to write about them. When you pass a certain point of obscurity, doing the research for a blog post becomes a real struggle. For most of my posts, the real challenge is in sifting through all the information I have to try and find the most interesting parts that I can write about. With some grapes, though, the challenge becomes trying to find any information at all about them. The grapes mentioned above, as well as today's grape, Blatterle, are not mentioned in any books that I have (aside from a passing mention of Casetta in Bastianich and Lynch's Vino Italiano) and are not heavily referenced online either. My life gets a lot more difficult once I go diving past a certain level of obscurity and find myself in the murky waters of the virtually unknown. I mention in the Casetta and Roscetto posts linked above that all of the information available about those particular grapes comes from the people who are selling you the bottle, which always makes me a little uneasy. With Blatterle, the person who is growing the grapes and making the wine doesn't really have much of an online presence, so we are denied even that much access. In this case, the source of most of the information is the importer of the wine, Louis/Dressner, whose founder Joe Dressner sadly passed away just a few months back. I feel a little better about using the importer (this one in particular) rather than the winery itself as the primary source partly because the importer has a good reputation within the wine community, but mostly because the content of their site, or at least the part dealing this grape, is very factually oriented, and if it's a sales pitch, it's one of the driest ones I've ever come across. That sounds like a dig, but it's actually a really good thing in my opinion. I'm a "just the facts" kind of person and am much more interested in winery sites that sound more like an encyclopedia than like a commercial. Here is essentially what we know about Blatterle. It is an old variety that is thought to be native to the Isarco River Valley in the Alto Adige. The name Blatterle means "little leaf" in German (remember that the Alto Adige region is a weird kind of mixture of German and Italian cultures), which, I guess, means that this vine may have smaller than average leaves. They say that the grapes themselves are kind of oval-shaped and golden colored, but I don't see it in the pictures that I was able to find. It seems that historically the grape was used either for grape juice production or in the production of a lightish, everyday kind of wine. The grape is grown pretty much exclusively by the Mayr-Nusserhof estate, which is located near (or possibly in) the city of Bolzano on the Isarco River. The family who owns the estate are named Mayr while there are conflicting reports about where the Nusserhof comes from. The importer says that it's a reference to some hazelnut trees (Nuss is the German word for nut) that used to surround the house but which were cut down as the city of Bolzano has impinged further and further on the Mayr family's spread, which is currently about 2.5 hectares of organically farmed land. A shop in North Carolina presents the alternate theory that one of the current owner's relatives, a man named Josef Meyr Nusser, had the street named after him because of his actions in World War II, where his opposition to the Nazi regime led him to become a conscientious objector when the Nazis were recruiting soldiers from his occupied town. As you might imagine, the Nazis weren't especially kind to opposition of any sort and Josef died in a concentration camp as a Catholic martyr. The second story is not only much better, but is actually more plausible, so that's the one I'm going to choose to believe. I was able to pick up a bottle of the 2007 Nusserhof "Blaterle" from my friends at Curtis Liquors for about $23. You may notice that the name of the wine is "Blaterle" rather than Blatterle. Since the Blatterle grape is not approved for use in any DOC wine, the winery bottles this as a Vino da Tavola, which has the restriction that you cannot print a place name, grape name or vintage on the label of the wine. Just by dropping one of the T's in the middle of the word, the winery is able to dodge these restrictions (the vintage is hidden at the bottom of the label where it says L07, the last two numbers being the last two digits of the vintage year). In the glass the wine was a pale greenish lemon color. The nose was fairly reserved with some pear fruit and something slightly nutty. As the wine approached room temperature, there was something vaguely floral that started to show up, but never in any serious amount. On the palate the wine was medium bodied with medium to low acidity. The wine had a very minerally flavor profile with some lean pear fruit and lemon peel, but not a whole lot. This wine was probably on the wrong end of its life span and was suffering slightly for it. It's interesting to compare my tasting notes with Jakob's Bowl who did his tasting a little over a year after I did and with a bottle that was one vintage year newer. My bottle lacked the explosive floral notes that his had and mine had definitely picked up more pithy citrus in the bottle. I'm interested in trying a younger version and will keep my eyes peeled and fingers crossed. Today marks Fringe Wine's first foray into the tiny region of Liguria in Italy. 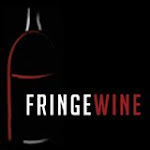 In fact, if I'm not mistaken, with today's post, Fringe Wine will have covered a wine from each of the individual regions within Italy. Liguria is the last to be covered not because they lack interesting wines, but because they make so little of them and export even fewer. Liguria is next-to-last in vineyard area and total volume of production within Italy, ahead only of the Valle d'Aosta. When you look at a map of Italy, it's pretty easy to see why. Liguria is a tiny region in northwestern Italy, right below Piemonte, that forms a narrow band that just wraps above the Ligurian Sea. The landscapes here are dramatic, as there are steep hillsides and mountains that begin sometimes right at the shoreline and stretch back into Piemonte. So what you have is an area that isn't that big to begin with that has very difficult ground to work, which results in a relatively small amount of wine being made. Further, Liguria is a tourist haven, given their long shoreline and dramatic vistas, so much of the wine that is made locally is also consumed locally either by tourists or by the Ligurian natives. I've been reading a lot about Italian wine over the past year or so, and have been eagerly seeking out some wines made from the unique grapes that are found in Liguria. I've managed to pick up a few that we'll get around to in the near future, but for today, I want to talk about a grape called Pigato. Pigato was probably the first Ligurian grape that I was able to try, though the first bottle that I bought was well past its prime. It took me a few months, but I was able to find a replacement and I've been eagerly anticipating writing about this grape for a little while now. I started flipping through some of my books to start my research off and noticed that there seems to be some controversy about just where Pigato may have come from, which started to get me even more excited since I just love those kinds of controversies. And then I went to the Oxford Companion to Wine, who says that "DNA profiling showed that pigato and vermentino, both long-established in Liguria, and Favorita, cultivated in Piemonte, are all identical." My heart sank. There were all these great stories about how maybe Caesar's legions planted the grape in Liguria or that maybe the grape came over from Greece or maybe how it might have something to do with Arneis, but it didn't look like any of them were true. The Oxford Companion doesn't cite their sources within the text, so I had to do some digging to find the article that they were referencing, and sure enough, in a study published in 1995, the proof was found. The study itself was done to see whether microsatellite sequence-tagging was an effective method of differentiating between cultivars, and it turns out that it is (in fact, nearly all DNA testing to determine relations between grapes use some form of microsatellite tagging these days). 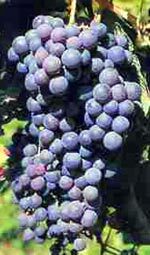 The scientists took several different grape varieties grown in both Italy and Australia and ran them through the test to see whether the different varieties could be distinguished from one another and, further, whether the clonal variants from the geographically disparate regions would show up as the same grape. Both tests were successful, but buried within the paper is the fact that in the course of the testing, Pigato, Vermentino and Favorita all tested as genetically identical, meaning essentially that they are clonal variants of the same grape. 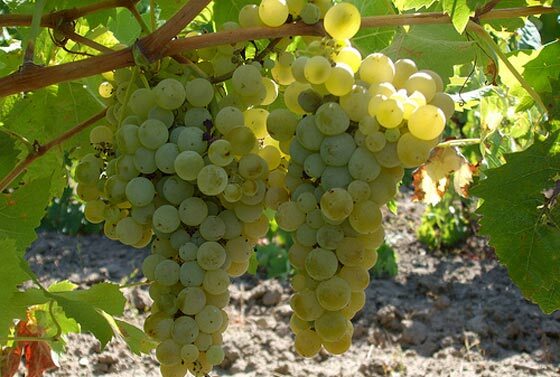 It has long been suspected that Pigato has some relationship to Vermentino, with a few people believing that they may actually be the same grape, but the Italian officials currently recognize them as separate grapes (and, further, recognize Favorita as a separate grape as well). I don't know if this has always been the case, as Nicolas Belfrage, in his Barolo to Valpolicella, mentions that there is reference to a grape called vermentino pigato, or spotted Vermentino, in a book called Bollettino Ampelografico published in 1883. It kind of sounds like what may have happened is that there was a mutation of Vermentino at some point that had splotchy pigmentation on its skin which was then separated and cultivated on its own, but was still recognized as a variant of Vermentino (much like how Pinot Blanc and Pinot Gris are variants on Pinot Noir). At some point, though, people may have just gotten tired of saying Vermentino Pigato and started calling the splotchy grape Pigato for short. Over time, the connection to Vermentino wasn't totally forgotten, but it fell far enough by the wayside that Vermentino and Pigato started to be seen as totally different grapes. Even with the DNA testing done and published, many sources are still not aware of the connection even today. Bastianich and Lynch, for example, believe the Greek origin story for Pigato in their Vino Italiano, which was most recently updated in 2005. This is all leading to a thorny question, and it's one that I've written about a few other times here as well without any kind of resolution that feels satisfactory to me. Where do we draw the line in deciding which grapes are distinct and which are merely synonyms? DNA testing, at least as it currently stands, isn't the answer since if DNA is all we are concerned with, Pinot Noir, Pinot Blanc and Pinot Gris shouldn't be considered separate grapes. I wonder, in this case, if the odd, splotchy pigmentation on the skins of the Pigato grape is sufficient to make the case for its differentiation from Vermentino? If so, then what about the different sub-varieties of Catarratto that have greater or lesser amounts of a foggy kind of bloom on their skins? How can we accept the one and not the other? The short answer is that I don't know. For the purposes of this site, Pigato, Favorita and Vermentino are all considered separately in virtually every text that I have, so I will follow their lead. We'll just have to know that they are indistinguishable from one another within the context of modern DNA analysis and marvel that modern science has allowed us to see so deeply into what makes up these individual plants, but for some of them, our own crude eyes may still be the best tool to tell them apart. The first Pigato based wine that I was able to try was the 2005 Bruna "Le Ruseghine" from the Riviera Ligure di Ponente DOC, located just west of Genova and just south of Piemonte. The wine set me back about $34, which, unfortunately, isn't all that unusual for wines from Liguria. The unforgiving geography means that most of the vineyard work must be done by hand rather than by machine, which means that labor costs are higher. Further, the touristy nature of the region means that they can get away with charging higher prices for the local tourist trade, and so most people do. In the glass the wine was a light gold color, showing a bit of its age. The nose was fairly open with aromas of pineapple and grapefruit peel. On the palate the wine was medium bodied with fairly high acidity. There were flavors of lemon, melon and citrus peel with a distinct and prominent stony kind of minerality to it. Overall, the wine was old and there just wasn't really any two ways about it. A lot of the fruit had faded to a bitter kind of pithiness and the wine was just clearly over the hill and suffering for it. Luckily I was also able to find a 2009 Claudio Vio Pigato from the Riviera Ligure di Ponente from my friends at the Wine Bottega for a more reasonable $25. The back of the bottle says that the grapes are "heroically cultivated" in the tough Ligurian terrain, though at least this producer is able to keep the overall costs below $30 a bottle. In the glass the wine was a golden lemon color. The nose was fairly reserved with a touch of lemon and grapefruit peel. I don't often say that a wine has a minerally nose, but this one did have a kind of steeliness to it. On the palate the wine was medium bodied with fairly high acidity. The fruits were again fairly muted in this wine with some flavors of lemon and lemon peel with pineapple and white pear. There was a stony, almost flinty kind of minerality to it that had a harsh, bitter edge. When opening the first bottle, I was certain that age had played a large role in the muted aromatics and flavor profile of the wine, but after this bottle, perhaps that's just characteristic of the grape. Neither bottle really had much to recommend it, in my opinion, especially given the fairly high sticker prices on them. They kind of tasted like Riesling that someone had sucked all of the fun out of. If you're a fan of lean, steely white wines with acid to spare, then maybe Pigato is your thing. Today's wine should be a fun one since not only is the grape somewhat unusual, but the style of the wine is as well. My friend Matt over at the Wine Bottega was so excited when he got this in their shop that he emailed me right away. At the time, I was on a real Jura kick and was drinking a lot of Vin Jaune and other slightly oxidized white wines from the region that Matt was helping me to track down, so when this popped up, he let me know right away. And I'm glad that he did, because this wine was not only right up my alley in terms of how unusual it was, but it was also really tasty to boot. But I'm getting ahead of myself. Let's start with the grape itself, Tibouren. Jancis Robinson, in her Oxford Companion to Wine, calls Tibouren "the Provençal grape variety" because of its long history within the region and the typically Provençal character that wines made from the grape tend to possess. Despite this kind of critical praise, Tibouren isn't all that widely planted. As of 2000, it covered about 450 hectares, or just over 1,100 acres, nearly all of which are located in the Var region of Provence. The reason for its unpopularity with most growers will sound familiar to those of you who've been reading along with me for awhile: it's a pain to grow in the vineyard. Mainly, the problem is that the vine is very susceptible to a condition known as coulure, which is an affliction that causes the tiny berries that form just after flowering to fall off of the cluster, and when coulure hits hard, as you might expect, yields from the vine drop dramatically. From year to year, it's difficult to try to predict what kinds of yields the Tibouren vine will provide since coulure is influenced by a number of factors that are out of the grower's hands, meaning that some years coulure isn't much of a problem and yields are good, but other years coulure is a menace and yields are way down. You only find out how much of a problem coulure is going to be when it hits, and by then there's nothing to be done. When you grow grapes for a living, it's very inconvenient to have no idea what your crop size will be so many growers moved away from Tibouren to more reliable and consistently yielding vines. I mentioned above that Tibouren had a long history in Provence. As with most issues regarding the provenance of a specific grape, that particular fact is in some dispute. The noted ampelographer Pierre Galet believes that the grape's origins are Middle Eastern because of the unique shape of the vine's leaves. 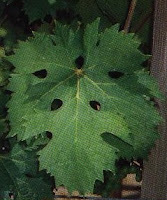 The leaves of grapevines are made up of individual lobes and the curved area between these lobes are called sinuses. Many vines are easily identifiable because of the relative depth or shallowness of the sinuses. Riesling, as you can see in this picture, has kind of fat looking lobes with shallow, narrow sinuses. Tibouren, as you can see on the right, has deep, very well defined sinuses, which apparently are more common in vines from the Middle East. Galet's theory is that the vine's ancestors were brought over to Greece and then imported into Marseilles at some point in the fairly distant past. The competing theory is that the grape was only brought into Provence via Saint-Tropez on the Riviera in the late 18th Century by a Navy captain named Antiboul, for whom the grape is named (kind of...if you try really hard you can probably get to Tibouren from Antiboul, but the synonyms Antibois, Antiboulen, Antiboulène, Antibouren, and Antibourin are definitely more directly named for him). Wherever it is ultimately from, Tibouren is now almost exclusively a product of Provence. It is used mostly in the production of rosé wines, though it is occasionally used as a blending ingredient in some of the local red wines. Jancis Robinson has famously proclaimed that wines made from the grape have an aroma of garrigue. Others have followed her example, though few of them take the time to explain to their readers just what the heck garrigue is. Garrigue is basically the name of the underbrush or the wild scrub that grows in the limestone rich soils of the regions around the European coast of the Mediterranean Sea, particularly in the region of Provence. The garrigue is made up of many different kinds of plants, but most notably there are a lot of wild herbs like lavender, sage, rosemary and thyme. It's an evocative term to be sure but it's also kind of exclusionary because if you've not been to the region (and I haven't), it's a little difficult to get a real sense of just what garrigue might be. It must be more than wild herbs or she'd just say wild herbs (you'd hope), but filling in the blanks is difficult. The precision of tasting note terms is an argument for a different time, though, so let's try to soldier on. Provence is interesting because it is the only region in France other than Bordeaux to develop a classification system based on noted estates (other French classification systems classify vineyards, not producers). In 1955, eighteen estates were given the ranking Crus Classés, and as far as I know, the classification hasn't been altered since then. One of the estates ranked is Clos Cibonne, who makes the wine that I'll be reviewing below. The estate was purchased by the Roux family in 1797 from a guy named Jean Baptiste de Cibon. The Roux family made wines from grapes grown on the property for many years. In the 1930's, André Roux completely modernized the winery and began to really focus on quality production, making a real name for the estate as a serious producer. He also uprooted all of the Mourvedre vines on the property and replanted them over to Tibouren, a grape that he had great belief in. Clos Cibonne was even given special permission from the AOC to use the word Tibouren on their labels, a practice which, until very recently, was really only allowed in Alsace. The Tibouren vines, covering about 15 hectares, are mostly located about 800 meters from the Mediterranean in a kind of natural bowl that faces south to the sea. The warm air and southern exposure helps to ensure that the grapes ripen properly. The grapes are harvested and then vinified in stainless steel before the real fun begins. The tank-fermented wine is pumped into 100 year old neutral wood barrels called foudres which hold 5,000L each (about 1,320 gallons) where it is aged for one year under a thin veil of yeast known as fleurette. The yeast actually protects the wine from oxidation, to some extent, while imparting its own unique kind of flavor to the finished wine. I was able to pick up a bottle of the 2009 Close Cibonne Tibouren rosé from my friends at the Wine Bottega for about $27. I also spotted the wine over at the Spirited Gourmet, but I don't have a price on it and would be surprised if they had much left at this point anyway, though if you're interested I'm sure either shop could track a bottle down for you. In the glass, the wine was a medium salmon pink color. The nose was fairly aromatic with juicy watermelon, strawberry and maraschino cherry fruits with a hint of dried herbs (or something slightly herbal in any case). On the palate, the wine was medium bodied with fairly high acidity. The fruit flavors were a bit more subdued than they were on the nose with some watermelon and strawberry fruits backed by a kind of saline tang and a clean, minerally finish. Overall the wine was bright, vibrant and clean with a really interesting mix of fruit and salinity that kept me reaching for the glass. It was kind of like someone took a really fresh rosé wine and spiked it with a little bit of Fino Sherry. It is on the expensive side for a rosé, but it's just so interesting and unique and, yes, tasty that I really didn't mind paying it. Fans of wines aged under a yeast film like Sherry or Jura wines should definitely check this out. People who aren't such fans of those kinds of wines might also find themselves pleasantly surprised by this wine, as the salinity and nuttiness aren't nearly as prevalent as they are for those kinds of wines. Today's grape, like the Roscetto grape I wrote about several months back, is one of those ultra-rarities that has been brought back from the brink of extinction through the efforts of a single producer who essentially has the current market on wines made from the grape cornered. Unfortunately, that means that they also have the market cornered on information available about the grape, so for the most part, what information there is either comes from the winery directly or from other bloggers whose information seems to come directly from the winery. So I'll issue the same caveat I did with my Roscetto post which is that since all of our information is coming from essentially the same place, our ability to cross-check any information is seriously limited and we're pretty much forced to take the winery's word for all of the information we have. Albino Armani is the name of the winery and they've been doing business in northeastern Italy for over 400 years. They have vineyard holdings in Trentino, Friuli and the Veneto and they make a wide variety of wines within those regions. The story goes that in the 1980's, Albino Armani was starting to worry about the loss of many of the grapes native to some of these regions, so he set out to try and preserve what was left of them. It looks like he made quite a few discoveries, but like the Pugnitello we took a look at a few weeks back, one in particular was more exciting than the others. That grape was called Casetta, which is known as Foja Tonda in the local dialect, which means something like "round leaf." The "Foja Tonda" is a bit of marketing gimmickry, as Albino Armani has the phrase trademarked and so is the only producer permitted to use it. Not that there's a lot of competition. It's estimated that there are only about 14 acres of Casetta in Italy (and therefore in the world since the grape is not thought to be grown anywhere else) and Armani owns and cultivates 12 of them. The winery believes that the grape's history in the region can be traced back, vaguely, to "antiquity," and that it ultimately fell out of favor with growers who were interested in more productively yielding vines. For better or for worse there are "powers that be" in the world of Italian wine which have something of a say about what grapes can be cultivated and vinified in certain geographical regions. Casetta was not approved for use anywhere, and so Albino Armani had to go through all of the processes of getting it approved. At Albino's urging, the grape was officially reinstated for cultivation in 2002 (which basically means that it's on the governmental list of approved cultivars), and was approved for use in the Terra dei Forti DOC, where it must comprise at least 85% of the blend, as of the 2007 vintage (it is not permitted for use in any other DOC). The Terra dei Forti DOC covers the Adige Valley between Trentino and the Veneto, is home to about 20 wineries, and has over 1300 hectares of vines divided up between over 1000 different growers. I'm not totally sure, but I believe that 2005 was the first commercially available vintage of this wine, as there doesn't seem to be any online reviews for any prior vintages. I was able to find a bottle of the 2006 Foja Tonda (100% Casetta), which is labeled as Vallagarina IGT since it was made the year before the DOC regulations came into effect, for about $20 from my friends at Curtis Liquors. In the glass, the wine had a medium purple ruby color. The nose was moderately aromatic with bright and juicy aromas of red cherry, black raspberry and waxy red fruit. On the palate the wine was medium bodied with high acid and low tannins. There were flavors of sour cherry, black raspberry and wild raspberry fruit with some wild and dried blueberry flavors and a hint of chocolate. The overall character was of tart, wild, brambly berryish fruits. It's not deeply complex or intense, but it is bright and very fruity with just a hint of chocolate and leather to round out the bottom end. If you're not a fan of high-acid red wines, this probably won't do much for you. This would be a very nice wine for someone looking to jazz up spaghetti and meatballs or for someone looking for something a little different on pizza night. Pop quiz time again: what is the second most planted grape in all of Italy? As you might expect, Sangiovese is number one but I would have guessed that Trebbiano was right behind it and I definitely would have guessed that Trebbiano was the most widely planted white grape in Italy. It is true that if you count all of the various sub-types of Trebbiano under a single heading (which would be a mistake, since they are, for the most part, separate grape varieties and not really "sub-types" at all), then Trebbiano becomes the most widely planted grape in Italy, but as of 2000, the Istituto Statistica Mercati Agro-Alimentari in Italy regards them separately, so I'll follow suit. Trebbiano Toscana comes in third right behind today's grape, Catarratto (specifically Catarratto Bianco Comune, but we'll get to that in a minute). The really amazing thing about Catarratto's high placement on that list is that all of the plantings of the grape are on Sicily, and nearly all of them are concentrated in the western part of the island. In fact, Catarratto accounts for over 60% of the vineyard area on the island of Sicily, which is no mean feat as Sicily has more acreage devoted to the vine than any other region of Italy with over 330,000 acres planted (how the grape got to Sicily is a bit of a mystery as recent DNA testing [source] has shown that it is an offspring of the Garganega grape, which is primarily cultivated on the northern end of the Italian mainland in the Veneto region). Catarratto Bianco Comune covered about 109,000 acres in 2000, which was actually down from nearly 150,000 acres in 1990. None of those figures account for plantings of Catarratto Bianco Lucido which stood at about 20,000 acres in 2000. So what's the big deal? Why is so much land devoted to this grape? The reason is pretty simple. Catarratto is low-maintenance in the vineyard and yields like crazy, which is the perfect storm for growers whose main concern is selling their juice off for bulk wine production. Catarratto is also important in the production of Marsala, but, as mentioned in the Grillo post a few days back, Marsala production has also become an industrialized, bulk production kind of affair and Catarratto's high yields, fairly neutral character and tendency to oxidize easily are all perfect for those kinds of operations. I noted above that the planting figures were different for Catarratto Bianco Comune and Catarratto Bianco Lucido. The Italian authorities recognize these as two distinct grape varieties, but recent DNA testing (source) has confirmed that they are actually clonal variants of the same grape (there are actually more than just these two, all genetically identical, but these are the most important in terms of acreage and volume). They are distinguished from one another by the relative presence or absence of a whitish bloom on the skins of the grapes as they mature. Comune has the most whitish color present while Lucido has less, creating a clearer, glossier looking grape skin. Another sub-variety known as Extra-Lucido was discovered and isolated in 1971 from some Lucido vines and, as you might expect, it has virtually no bloom on the skins. Comune is the more prolific producer, which is why its plantings tower over plantings for the other sub-varieties (all are rather voluminous yielders, though). The Oxford Companion to Wine asserts that Lucido is the finer of the two in terms of quality production, but Bastianich and Lynch in their Vino Italiano hold that the differences between the two sub-varieties is subtle at most. The tiebreaker goes to Nicolas Belfrage who, in his Brunello to Zibibbo maintains that Lucido is indeed the finer of the sub-varieties. I don't know which one was in the bottle of Catarratto that I was able to find, but the odds suggest that it's probably Catarratto Bianco Comune. I picked up a bottle of the 2008 Feudo Montoni Catarratto locally for about $20. In the glass the wine was a fairly deep lemon-gold color. The nose was nicely aromatic with green apple and apple pie filling aromas with some pineapple tropical fruit notes. On the palate the wine was medium bodied with medium acidity. There were flavors of baked apples and apple cider with a touch of lemony citrus. The finish was bitter with a powdery, chalky kind of edge to it. The cidery notes kept getting stronger as the wine stayed open, making it harder and harder to drink. Overall, I didn't care for this at all. Even taking into account that it is probably just a little past its prime, the flavors here were too one dimensional and the chalky texture was so unpleasant that it became a struggle to get through this bottle. I'm always wary of writing a grape off due to one bad bottle, so I'll keep my eyes open for something a little fresher and will post a review if I come across anything. You might be inclined, upon seeing the name of today's grape, to assume that it has something to do with the ancient city of Troy. "Troia" is right there in the name, you might say, so there must be some connection between the two. While you wouldn't be alone in thinking that, you also wouldn't be correct. It seems to happen a lot in the wine world (and beyond) that someone takes a quick look at a word and uses their intuition to come up with an explanation for it rather than doing any research. In actuality, the name of the grape most likely comes from a town named Troia in Puglia which is west of the town of Foggia in the northern part of the region, which isn't nearly as exciting as a reference to the ancient city of Troy, but sometimes facts can be pretty boring. It is thought that Uva di Troia came to Puglia via Greece several thousand years ago. The name of the game in Puglia has traditionally been high volume bulk wine production so over the years growers would select certain vines that had larger grapes with more clusters to replant in their vineyards in order to increase the amount of juice that each vine could produce. 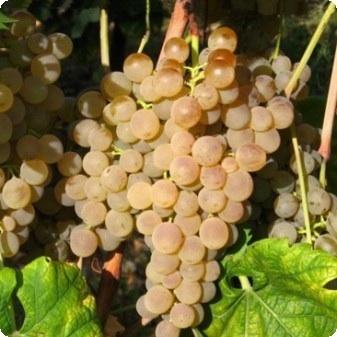 This kind of clonal selection in the field has result in a handful of distinctive clonal variants that differ primarily in the size of the grape and the compactness of the bunches. As you might expect, those clones with very large berries tends to produce inferior wine. The obvious reason is that the juice is less concentrated on these vines and the wine is dilute and lacking in flavor. 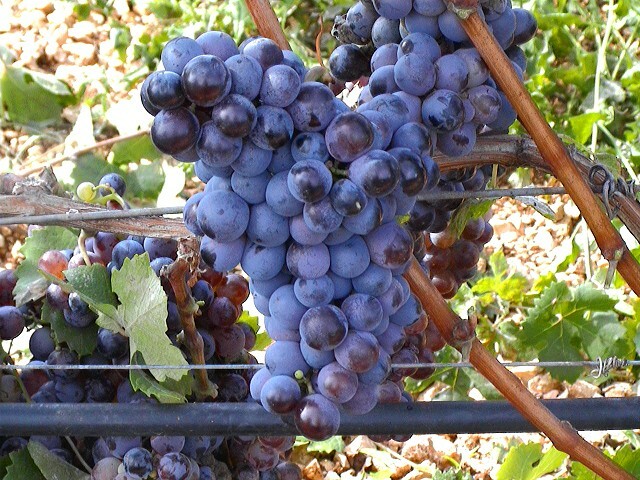 The less obvious reason is that Uva di Troia has a tendency for its bunches to ripen unevenly and the larger berries of certain clones cause the bunches to be more compact, making it difficult for some of the grapes closer to the center of the bunch to ripen completely since they are shielded from the sun. These underripe grapes are tossed into the fermentation vat along with everything else where they contribute harsh tannins and acid to the finished wine. Clonal variants with looser clusters and smaller berries are generally preferred for quality production, as the juice is more concentrated and the berries ripen more evenly and completely, making for a less harsh wine. The grape is somewhat noteworthy for just how average it is across the board when you look at its viticultural characteristics. It's fairly resistant to a wide variety of diseases, it yields fairly abundantly (depending on which clone is planted) and it isn't prone to dropping clusters or berries during the growing season. It tolerates the heat of Puglia fairly well and while it's a fairly late ripener, that's not a big problem in the warm, dry Puglian climate. Increasingly, however, plantings of Uva di Troia are on the decline. It seems that Uva di Troia isn't quite as user friendly as the other Puglian stand-bys, Negroamaro and Primitivo, either in the vineyard, the winery or the marketplace. Further, the DOC regulations for the most important region for Uva di Troia, Castel del Monte, are set up in such a way that use of the grape in the DOC wine isn't necessary. The regulations stipulate that the wine must contain Uva di Troia and/or Aglianico and/or Montepulciano with up to 35% of non-aromatic red grapes added. What that means is that a red wine from Castel del Monte can be 100% Uva di Troia, 100% Aglianico, 100% Montepulciano or any blend of the three grapes with over 1/3 of the blend allowed to come from virtually any other red grape. There are a handful of other DOC regions that have Uva di Troia as the primary grape, but Castel del Monte is by far the most important economically and since there is no incentive for growers or winemakers to use the grape, many are moving away from it to the more recognizable Aglianico and Montepulciano grapes. Fortunately, there are still some wines made from the Uva di Troia grape. The Rivera winery is one of them and I was able to pick up a bottle of their 2003 "Il Falcone" bottling for about $33. The wine is 70% Uva di Troia (called Nero di Troia by them, and supposedly made up of three different clones) and 30% Montepulciano. The wine is from the Castel del Monte DOC, which is named for an octagonal castle in the area that was built by Frederick II in the 12th Century. Frederick was apparently a big fan of hunting with Falcons, which is how "Il Falcone" got its name. In the glass the wine was a very deep purple-ruby color that was opaque nearly all the way out to the rim. The nose on the wine was very reserved with purple fruit that had a blackcurrant character to it with a hint of smoke. On the palate the wine was on the fuller side of medium with medium acidity and medium tannins. There were flavors of ripe black cherry and blackberry fruits with smoke, leather, tobacco, cocoa and cassis. This is a dark and brooding wine with ripe fruit flavors that are held in check by the rich, earthy flavors. This is very well balanced, very deep and very interesting. It's hard to call a $30 bottle of wine a value, but if I had paid $50 for this wine, I still would have felt like I got my money's worth out of it. It's a really fascinating, deep, complex wine that would be an ideal companion for game or grilled meats. It's probably as good as Uva di Troia gets so if you happen to run across it, definitely give it a shot. When researching grapes for this blog, I occasionally stumble over interesting stuff completely by accident. In the case of today's grape, Grillo, I was simply looking online for a picture of some grapes that I could use to decorate the post with. It's usually sufficient to enter the name of the grape into a Google image search to get what I'm looking for, but occasionally there are some surprises. When I entered Grillo into the search today, I got back pages and pages of pictures of all kinds of crickets because, apparently, grillo is the Italian word for cricket. So, for those of you like me who do not speak any Italian, there's your word for the day. As for why the grape is known as Grillo, I have no idea. Nobody who writes about the grape seems all that interested in the fact that the grape's name also means cricket, so my guess is that it's probably just a coincidence. Nothing about the grapes or the vines look like a cricket to me and, as far as I know, crickets don't eat grapes, so I'm out of ideas as to the source of the name. It turns out that exactly where the grape comes from is a bit of a mystery as well. The most popular explanation online is that the grape came to Sicily via Puglia. Nicolas Belfrage, in his Brunello to Zibibbo is doubtful about this since there doesn't appear to be anything like Grillo at all in Puglia. Further, those who champion this explanation believe that the grape came to Sicily only after phylloxera struck the Italian vineyards, which would mean that it has only been grown on Sicily for about 150 years at the most. I'm skeptical about this since another factoid given out about Grillo is that it was the basis for the famous Roman wine called Mamertino, which was a favorite of Julius Caesar. One assumes that the ancient Mamertino wine was made around the area of Mamertino, which is itself on the island of Sicily, so if it is true that Grillo is the base of the Mamertino wine of old, then we have to posit that Grillo has been on the island of Sicily for several thousand years. It is, of course, unbelievably difficult to match modern grapes to historical wines, so that's not exactly a smoking gun, but Belfrage's observation about the lack of similar grapes in Puglia seems pretty damning to me. His theory is that the grape came to Sicily with the Phoenicians thousands of years ago, but given that Grillo's parents are listed on the VIVC as Muscat of Alexandria and Catarratto, which is thought to be native to Sicily, it seems more likely to me that Grillo was born on Sicily at some point in the distant past. Grillo is particularly well suited to the Sicilian climate as it is very tolerant of high temperatures and dry conditions, which Sicily has in abundance. 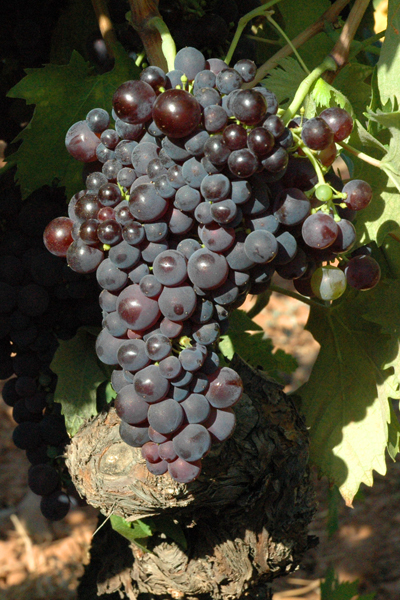 Further, the grape is capable of reaching fairly high sugar levels when ripe, which was a major boon when it was the primary grape used in the production of Marsala. Marsala, as some of you may know, is a fortified wine produced on the island of Sicily that is made in a way that is similar to Sherry. The Sicilian name for what the Spanish call the solera system is in perpetuum. In the late 18th and early 19th Centuries, Marsala was a big deal on the international wine scene, but demand for it has fallen even more precipitously than for the fortified wines of other areas such as Madeira, Port and Sherry. For the most part, the Marsala of today is industrially produced and is good for little more than use as a cooking wine. There are some artisan producers still making quality Marsala, but it is very difficult to find. Grillo was once fairly widely planted, but as you might expect, once demand for the principal wine produced from it began to fall, acreage devoted to the vine began to decline as well. It's also not exactly a prolific yielder, so as the process for Marsala production began to shift over to a bulk, industrial process, Grillo was uprooted in favor of the Catarratto grape, which yields more productively and reliably. The low point for Grillo came in the early 1990's when acreage devoted to the grape fell below 5,000 acres. Plantings have rebounded lately as the popularity of dry white table wines has increased over the past twenty years or so, and growers and consumers have found that Grillo can make interesting, characterful table wines. I was able to find two wines made from the Grillo grape. The first was the 2008 Corvo "Terrae Dei" which I was able to find for about $12. In the glass, the wine had a medium lemon-gold color. The nose was shy with a little bit of lemon and pear, but not much. It picks up a little funky leesy, cheesy kind of aroma as it approaches room temperature, but it never really gets that strong. On the palate the wine was on the fuller side of medium with medium acidity. The sensation was of light, delicate fruits like lemon, lime, green apple and creamy pear. The leesy kind of flavor persisted a bit onto the palate as well, providing an interesting, slightly cheesy and funky kind of flavor that picks up as the wine approaches room temperature, but never gets out of control. I was a little concerned when I bought this bottle that it might be in the midst of its decline, and I think I was probably right. It's drinking OK right now, but the fruit flavors are definitely in full retreat here. Luckily I was able to find a bottle of the 2009 Ca' di Ponti Grillo from my friends at the Gypsy Kitchen for about $10. In the glass, the wine was a fairly pale silvery lemon color. The nose was very aromatic with melon, green apple, pineapple and grapefruit aromas. It was like a fruit cocktail leaping out of the glass. On the palate the wine was on the fuller side of medium with medium acidity. There were flavors of creamy pear and melon with some banana and lemony citrus. The fruits were much more muted on the palate than on the nose, which surprised me a little bit. I have in my notes that the overall flavor profile was "broad," which, to me, means that the acid is fairly muted and the wine has almost a kind of creamy mouthfeel. A broad wine has more acidity than a "flabby" wine, but it's still on the lower side of balanced. I'm a sucker for a high-acid white wine, so this didn't really do it for me, though it is a very nicely made wine and at only $10 a bottle represents a very good value. Those looking for a substitute for Chardonnay will find a lot to like here, but I just need more zip in my whites than this wine can provide. Bonus factoid for those of you who read all the way to the end: Grillo is unusual in that it only has one known synonym. 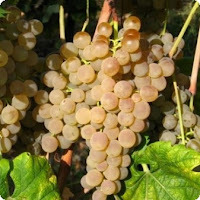 The grape is also known as Riddu in some places, though the Palomino Fino grape has Grillo as one of its accepted synonyms. Most grapes pick up dozens of synonyms as they move through different regions (see Chasselas and its 200+ different names), but Grillo only has the one.